I don't have any pictures just information at this time. I am building 2 - 2.9 engines, one for me and one for someone else. Why or How 2.9 you ask? I'll answer both, price and LESS modification! The lower price includes having to NOT modify heads and the block for the VW cylinders, what you do need is Clark's full fin cylinders bored for GM 2.8 pistons. Now you don't have to modify the heads or the blocks. I am going to get aftermarket rods as they already have a large piston pin hole. The Corvair pin is .800" in dia. and the 2.8 piston pin is .9055 dia. That makes for a large loss of material in the small end of a GM Corvair rod and with the quality control of GM the pin holes were not always centered in the rod, now you see why the aftermarket rods. The aftermarket rods already have a .869" small end hole centered so sizing is a little easier. I will have to do a little research on size and compression but I just may "octane cut" the pistons to help reduce the compression along with a little head work. I don't like to just use thicker head gaskets or base gaskets! I will be using my "FC" cam probably with a 2 degree retard key. It will be a while before I actually start work on the engines but I already have the pistons and rings with cylinders on order. This has already been built by someone else so I am not breaking any new territory just maybe improving upon it. I'll post pictures as I get started. This sounds extremely promising! Looking forward to hearing more about it. Since the 3.1 liter engines in 388, 404, & 460 all got blowed up, it's nice to have another alternative showing up. 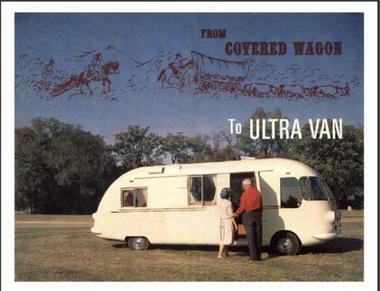 Right now I think the only big bore engine still in a running UltraVan is Chuck's new 3.0 liter. #292 also has a 3.0 liter but has been parked for many years. I have pictures and a good write up started on this and it will be pretty well documented.